HARARE — Four tanks were seen heading toward the Zimbabwe capital Harare on Tuesday, witnesses said, a day after the head of the armed forces said he was prepared to "step in" to end a purge of supporters of ousted vice-president Emmerson Mnangagwa. A Reuters witness saw two other tanks parked beside the main road from Harare to Chinhoyi, about 14 miles from the city. One, which was pointed in the direction of the capital, had come off its tracks. Soldiers at the scene refused to talk to Reuters. 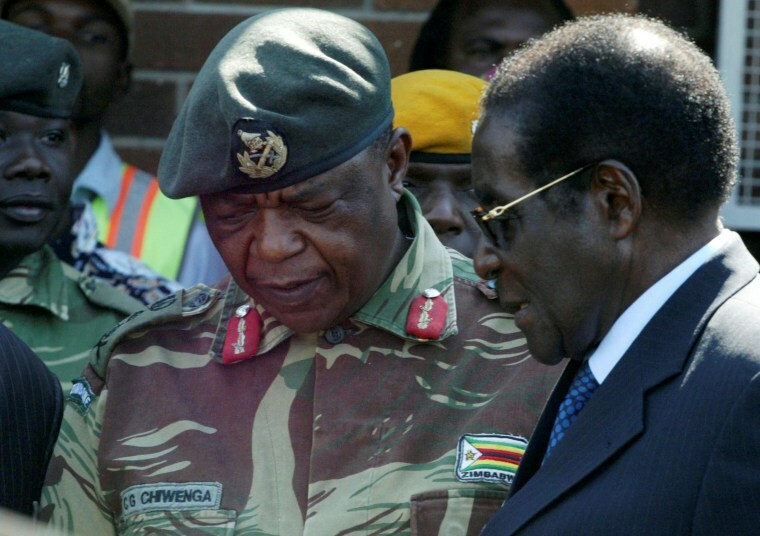 Earlier, the youth wing of Zimbabwe's ruling party accused the military chief of subverting the constitution for threatening to intervene after President Robert Mugabe plunged the country into crisis by sacking Mnangagwa last week. Mnangagwa, 75, a long-serving veteran of Zimbabwe's 1970s liberation wars, had been viewed as a likely successor to Mugabe before the president fired him on Nov. 6. In an unprecedented step, the head of the armed forces, Constantino Chiwenga, openly threatened to intervene in politics if the purge of war veterans did not stop. "We must remind those behind the current treacherous shenanigans that, when it comes to matters of protecting our revolution, the military will not hesitate to step in," Chiwenga said in a statement read to reporters at a news conference packed with top brass on Monday. Grace Mugabe, 52, has developed a strong following in the powerful youth wing of the ruling ZANU-PF party. Her rise has brought her into conflict with the independence-era war veterans, who once enjoyed a privileged role in the ruling party under Mugabe, but who have increasingly been banished from senior government and party roles in recent years.